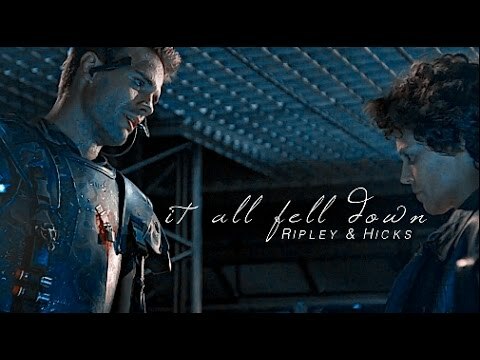 Which Film Did あなた Like Ripley In The Most? Are あなた going to watch Prometheus? Favourite character in Alien: Resurrection? Favourite character in Alien 3? Honestly, until a couple of weeks 前 I had no idea of the existence of this movie または its plot, I found it as Ridley Scott's new "film project", and when I read a little bit もっと見る about it, I just froze! "A group of archeologists discover an ancient chamber full of hieroglyphs which tell of an advance alien race and the creation of us humans, the chamber also contains two items: a DNA code, and the 宇宙 coordinates of the creator's ホーム world. Then a team is assembled and sent into 宇宙 to investigate." The impending possibility of the world of Aliens that Ripley knew is growing closer to us. With the advancement of possible 宇宙 travel and the project of a 宇宙 travel shuttle and the advancement of hover plates that can allow a vehicle to fly useing the earths magnetic field. It is becomeing all to clear that the tecnology in the 映画 of Aliens is becomeing close to our own. With plaetary collinsation of planets like the moon and mars on the distant horizon. Who truely knows how close we may be to the World of Aliens our self. We recently recorded a 2 時 podcast episode all about the Alien Saga, and thought what's a better place than here to leave it! a comment was made to the poll: From all the Alien films, which android was your favorite? a comment was made to the poll: お気に入り Alien movie? a link 追加されました: Alien: Covenant movie billboards stalking the skies of L.A.
Ron Cobb Colourvisions for sale. Peter ギネス - Alien 3!